My dad helped Erik and me build nesting boxes for Eastern Bluebirds. We didn't have to wait long before a male and female moved in. Eastern Bluebirds mate for life. They are part of the thrush family. In 2009, Courtney and I moved to Corpus Christi, Texas. 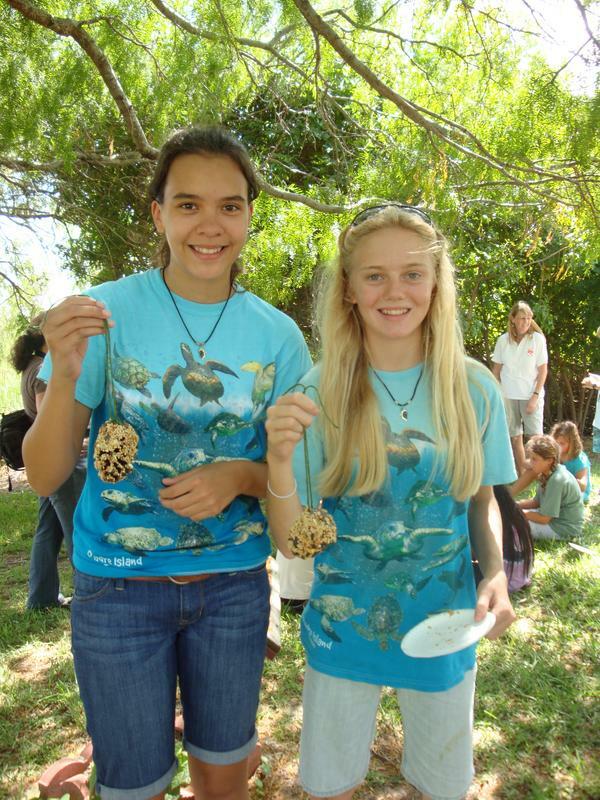 We lived on a canal and had the opportunity to study many different birds that live on the Gulf Coast. Corpus Christi is a fun place to bird watch. 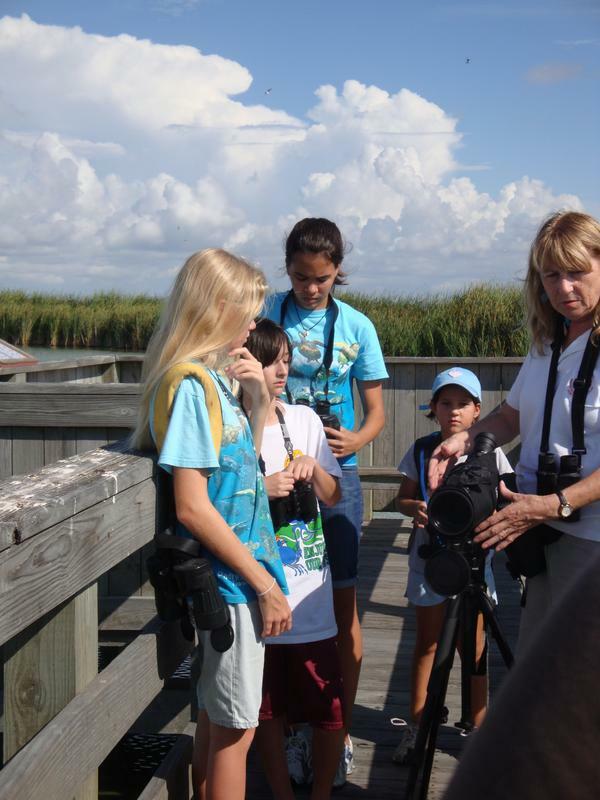 We took Birding 101 from Linda Fuiman. She's a scientist at the Marine Science Institute in Port Aransas, Texas. Erik and I put mealworms in bowls around the yard as a special treat for the Bluebirds. We named the Bluebirds "Rex" and "Maureen," and they would come when we called them! Many birds visited our yard when we started putting out bird seed. Our yard got so busy that we were afraid Rex and Maureen would move away. We started only leaving out food for Bluebirds and our yard became peaceful again. Rex is eating worms out of a feeding box we bought at a bird store. There are 3 species of bluebirds. All three bluebird species can be found in Texas in the winter months. Rex and Maureen gathered straw, grass, leaves, and even dog hair when they were building their nest. We hung bits of yarn in the tree for them to use, and we watched them work on their nest for about a week. Maureen liked to peck at our window and woke us up every morning for over a year! Bluebirds work very hard. Both male and female build the nest, feed the babies and teach their babies how to fly. In the early 1900s Bluebirds needed lots of help. Harsh winters, the use of pesticides, and the popularity of keeping cats as pets hurt the Bluebird population. In 1948, cat owners could start buying cat litter and many people started keeping their cats inside. More and more people started putting out safe places for Bluebirds to build nests and lay eggs. The Bluebird population started to grow again! You can help Bluebirds and all birds by building bird houses! Bluebirds have about two broods each season. They start building a nest in the spring, and the female lays about 3 - 5 eggs. After 2 short weeks the babies hatch. The male and female Bluebirds both care for their young for 3 weeks. Erik and I hid in the backyard and watched the babies get flying lessons. A baby bird that is learning how to fly is called a fledgling. Bluebirds also eat bits of fruit, insects and spiders. They loved the berries in the Yaupon Holly trees by their house. Erik and I watched Rex and Maureen as they played, worked, ate and taught fledglings how to fly for over a year. We moved from Ft. Worth, Texas to Corpus Christi, Texas in 2009, and we miss our Eastern Bluebirds! We're told by friends in our old neighborhood that they see many Eastern Bluebirds these days. We like to think Rex and Maureen are still building nests in our old backyard. Maybe we helped the Eastern Bluebird population! Making sketches for my nature journal. 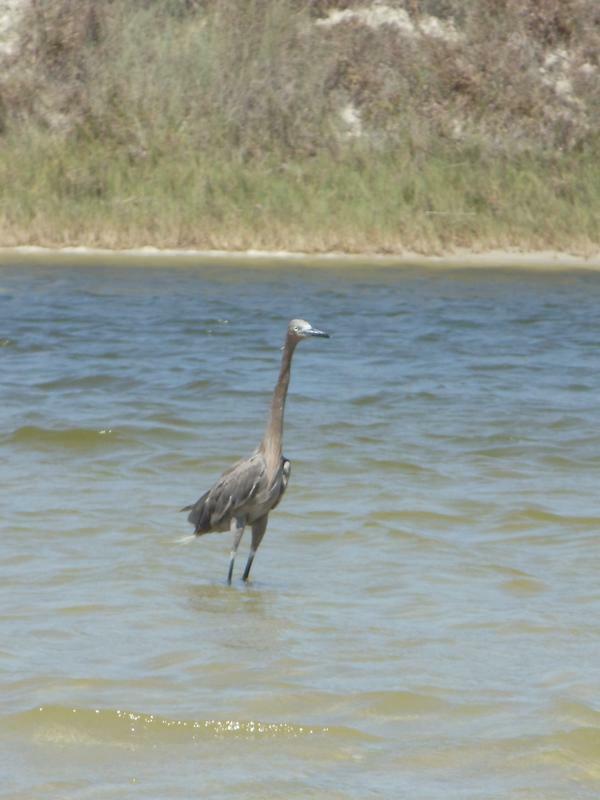 We saw brown pelicans, pink spoonbills, laughing gulls, white egrets and more! We had a great time at Birding 101. 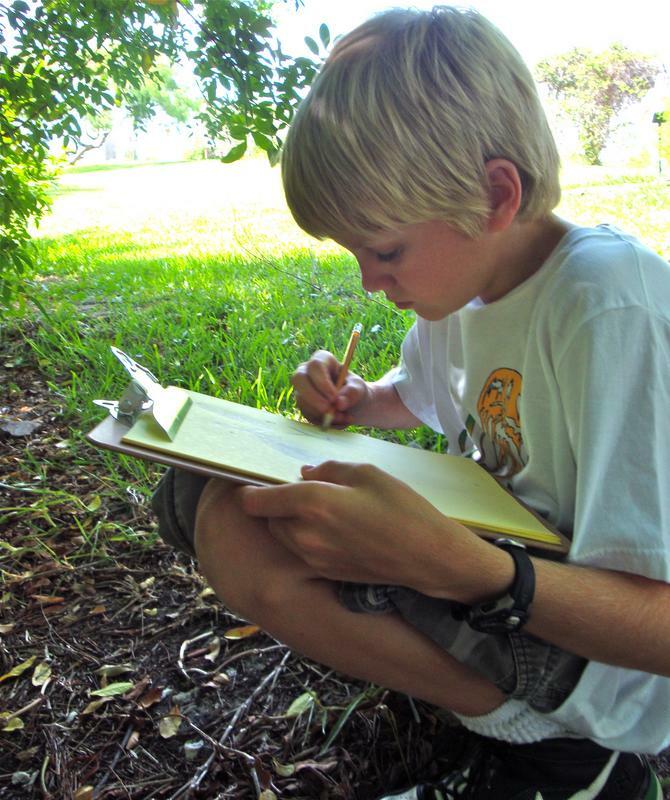 After learning how to identify different birds on the coast, we took notes in our nature journals and made bird feeders by smearing peanut butter on pine cones and rolling them in bird seed. In 2011, Erik and I moved to Central Texas. We're having fun learning about different birds. We see Roadrunners in our yard often and are working on getting some pictures. They're fast. It may take a while! We're lucky to have vultures! They make a great clean up crew by eating dead animals that could spread disease if left alone to slowly decay. Black Vultures have a wing span of about 59 inches and weigh 4 - 5 pounds. These guys are legally protected by the Migratory Bird Treaty Act of 1918. It is illegal to hunt, own, kill, or sell these birds. They are not endangered, but their numbers have declined because of environmental pollution. We kept our distance when taking these photos on the side of the road by our house. These black vultures were eating a raccoon carcass when we spotted them. If disturbed while eating, vultures will quickly regurgitate their food to make them lighter for a fast get away. Black Vultures raise 2 chicks each year. They lay their eggs in hollowed out logs or between rocks instead of building a nest. They "decorate" the area with anything shiny that they can find. Pieces of glass and tops from bottles are collected and placed near their eggs! Mollie and Jack found lots of bones. We used this chart from the Carolina Biological Supply Company to help us identify the bones we found in the owl pellets. We ordered our Owl Pellets from Owl Brand Discovery Kits and received our box of pellets and supplies in a couple of days! We found mostly small mice bones and vole skulls - all our pellets had at least one skull! SCORE! Owls often swallow their prey whole and later regurgitate the fur, bones, whiskers.. in the form of a pellet. Lucky for us - and you -the pellets can be ordered and delivered right to your door! We also ordered plastic tweezers to help us gently pull out bones and a very interesting DVD about birds of prey! Some falcons can reach speeds up to 200 mph when diving for prey! We learned a lot from the Birds of Prey DVD! Owls have a funnel like structure on their face that works like human hands cupping behind human ears. This amplifies their hearing so they can hear prey better! Owls regurgitate fur, feathers and bones of their prey - they digest the rest.